Borussia Dortmund have been honoured with the 2016 FIFA Fan Award in a joint victory alongside Liverpool FC. The two clubs were honoured for their rapturous rendition of the classic song ‘You’ll Never Walk Alone’, sung by both sets of supporters before their meeting at Anfield in the quarter-finals of the UEFA Europa League back in April. Dortmund’s official Twitter account tweeted their pride at receiving the award, dedicating it to the victims of the Hillsborough Tragedy in 1989, in which 96 football fans, many of them Liverpool supporters, died. 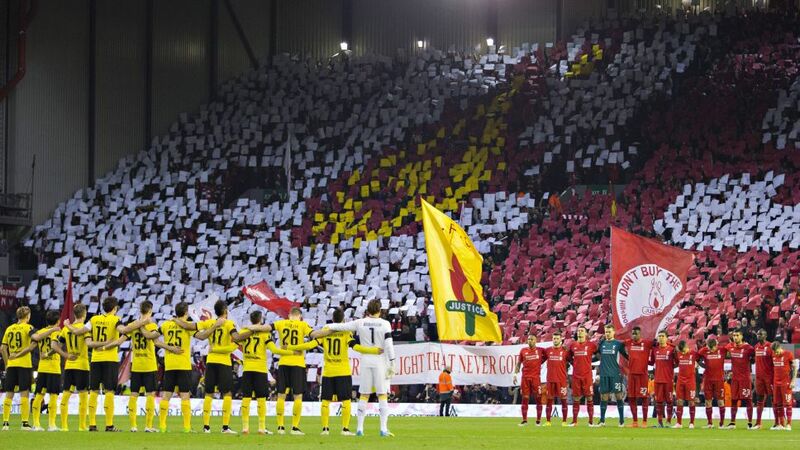 Watch: Dortmund and Liverpool fans unite to sing 'You'll Never Walk Alone'.